Rose gold never goes out of style. Wow your clients with this gorgeous tweezer from Rubis! 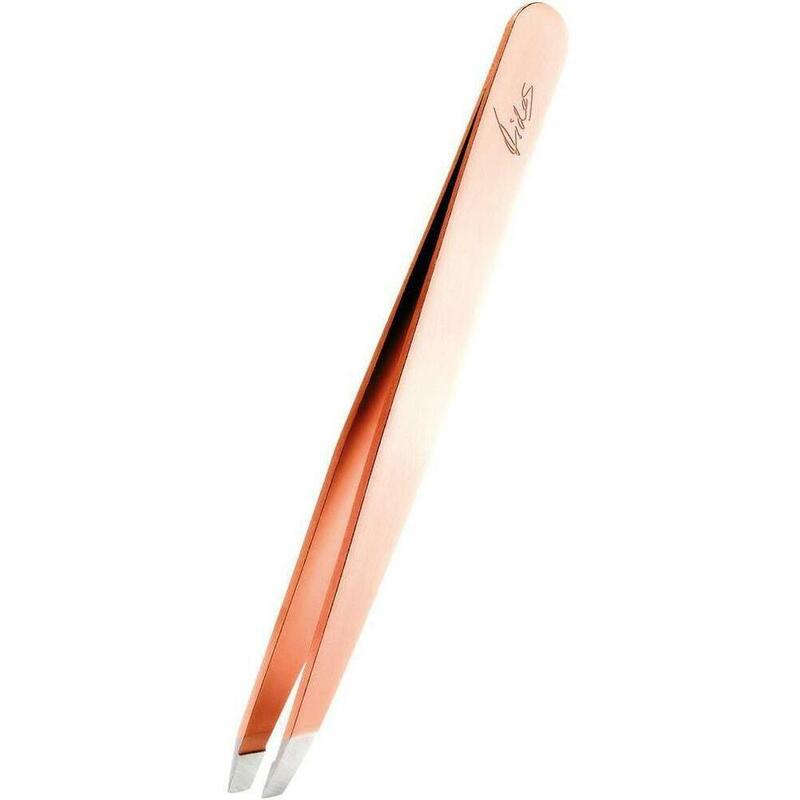 The Rubis Rose Gold Slant Tweezer / 3.75" is designed with the highest precision to create perfect tip-to-tip alignment for removing every unwanted hair. Made of antacid, surgical stainless steel, finished by hand under a magnifying glass. Treated for weight, balance and best performance to guarantee Swiss top. All-purpose tweezer perfect for shaping eyebrows and removing facial and body hair. Includes soft black velvet pouch to protect your investment!